SA is set to introduce a new carbon tax. It will certainly have a positive environmental impact, but can the same be said for corporates’ bottom line? It says human-induced signals have been detected throughout the climate system and are ‘extremely likely to have been the dominant cause of the observed warming since the mid-20th century. Continued emission of greenhouse gases will cause further warming and long-lasting changes […] increasing the likelihood of severe, pervasive and irreversible impacts for people and ecosystems’. This forms the scientific background to SA’s recent decision to introduce a new tax on carbon emissions from January 2019 – unless there is another delay to a proposal first put on the table by Treasury nearly eight years ago. Although SA accounts for just 0.75% of the global human population, the country emits more than 1.1% of global greenhouse gas (GHG) emissions and is ranked among the top 20 highest emitters worldwide. 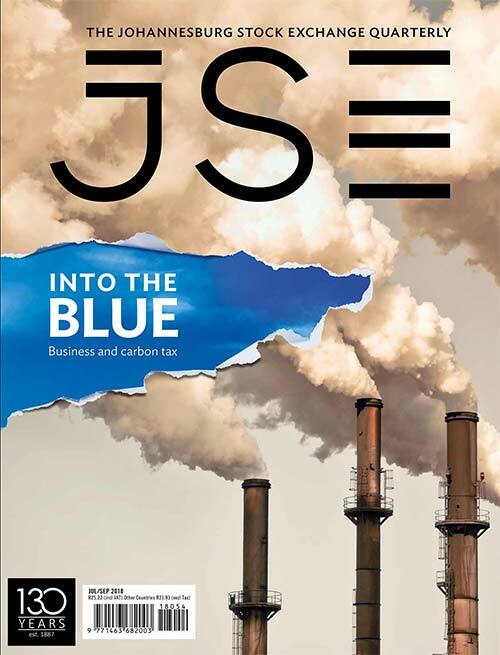 A Treasury modelling report suggests the carbon tax will have a significant impact on reducing SA’s emissions and could lead to an estimated decrease in emissions of 13% to 14.5% by 2025, and 26% to 33% by 2035, compared with business-as-usual. 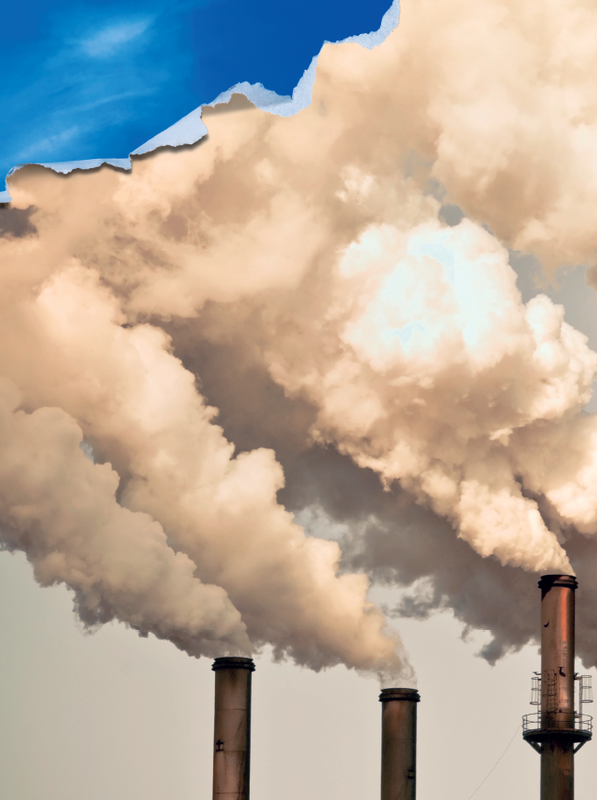 It states that a core factor leading to high GHG emissions is that the companies responsible for them do not pay for their effects, which have now been found to cause climate change. 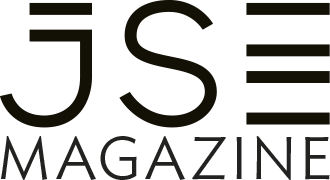 Treasury documents suggest that ‘about four companies account for between 55% and 60% of South Africa’s GHG emissions’, and that the oligopolistic nature of the country’s emissions profile is one of the reasons why government has elected to introduce a carbon tax rather than an emissions trading system (ETS), a market-based scheme that offers companies an incentive to reduce emissions by buying and selling carbon allowances. As a result, the government has opted for a carbon tax for all industries, with a gradual phasing in of the new tax and significant relief of up to 95% in allowances during the first phase of the tax. Initially, the tax will be set at R120 per ton of CO2 emissions above the tax-free allowances. The rationale is to progressively lower the use of fossil fuels and decarbonise the economy by shifting to low carbon alternatives such as renewables. 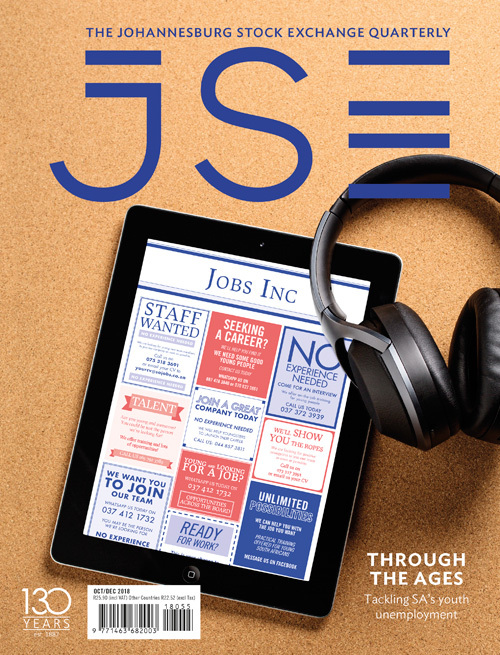 So, what does the this mean for local companies and industries? 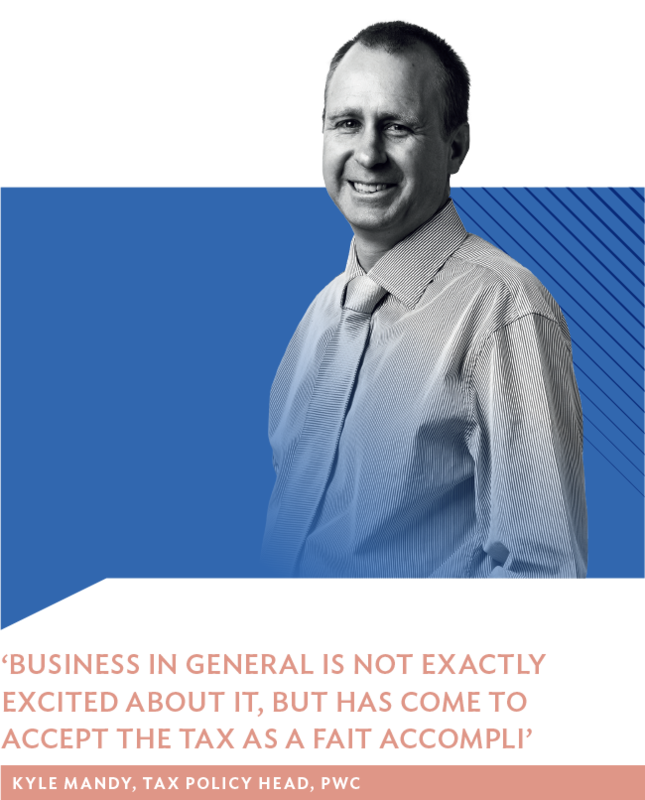 ‘Business in general is not exactly excited about it, but has come to accept the tax as a fait accompli,’ says PwC’s head of tax policy Kyle Mandy. He adds that while several figures have been bandied about, there is still uncertainty with regards to how much will be collected annually. According to Treasury, for the first phase (until about 2022) the impact on electricity prices will be zero. 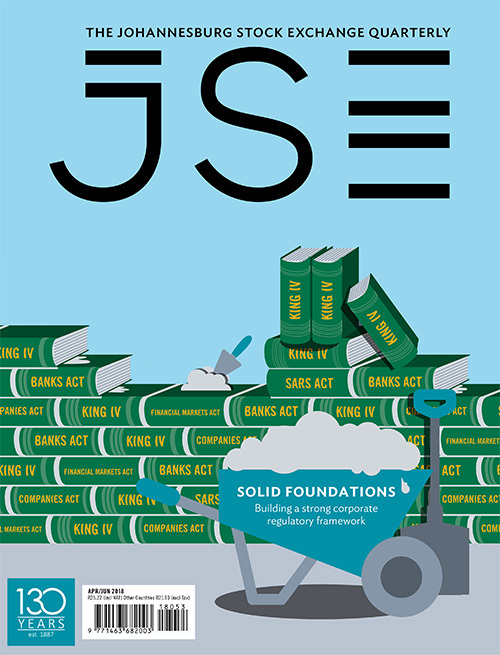 Most other large emitters, such as Sasol, Arcelor Mittal, most mines and cement manufacturers will be liable. Transport sector emissions from liquid fuels will be covered, and Treasury predicts this will lead to carbon taxes of around 11c/litre for petrol and 13c/litre for diesel. Emissions from domestic flights are liable for carbon tax. According to Mandy, the extent to which costs can be passed onto consumers will depend very much on industry sectors, the level of competition and other market forces. 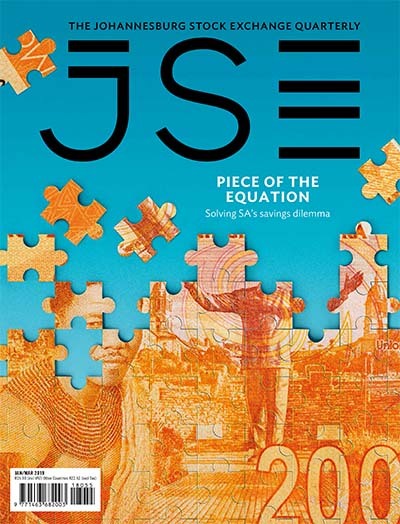 Overall, he acknowledges that the initial tax of R120 per ton is low in relation to tax regimes in Europe and other developed nations, and that the SA tax could be as low as R6 per ton if the full rebate is applied. 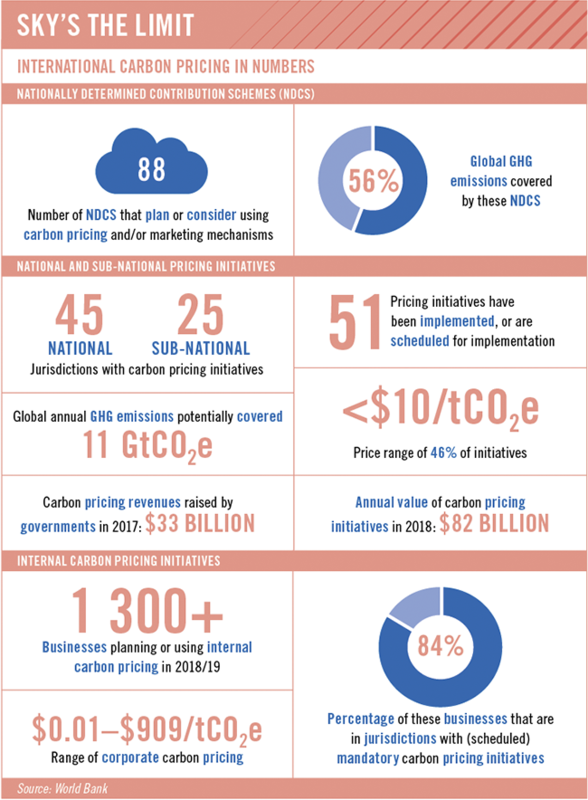 ‘The high rebates run counter to the objective of introducing emission reductions. But this is just the first phase. The various tax-free allowances will be revisited and reduced over time. 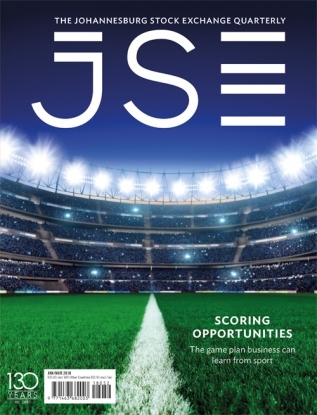 Rapson maintains that SA is currently not in a position to implement a fully developed carbon trading scheme and, accordingly, the carbon tax serves as an effective intermediate step that promotes and contributes to the country working towards its commitments under the Paris climate agreement. Despite assurances that Treasury will endeavour to achieve revenue neutrality, do industries see the new tax as just another way to raise general revenue? ‘This concern, particularly as it has been raised by industry, is linked to other environmental taxes that have been unsuccessfully implemented as they were not managed effectively, such as the tyre levy and plastic bag levy,’ says Rapson. Though SA is one of the first developing nations to introduce carbon taxes, India and Brazil are also investigating similar steps, and some Chinese cities are planning voluntary schemes. The Energy Intensive Users Group (EIUG) of Southern Africa and sister organisation, the Industry Task Team on Climate Change, support commitments to address climate change and are in favour of a predictable and gradual transition to a lower-carbon, resource-efficient economy. Mbanga says a combination of sharp increases in electricity prices played a large role in electricity sales volumes contracting by more than 14% below 2011 levels, with the largest contractions in mining and the industrial sectors. He suggests that, in the context of regulated price structures, ‘the carbon tax will have no material impact on reducing carbon emissions from the electricity generation sector’. 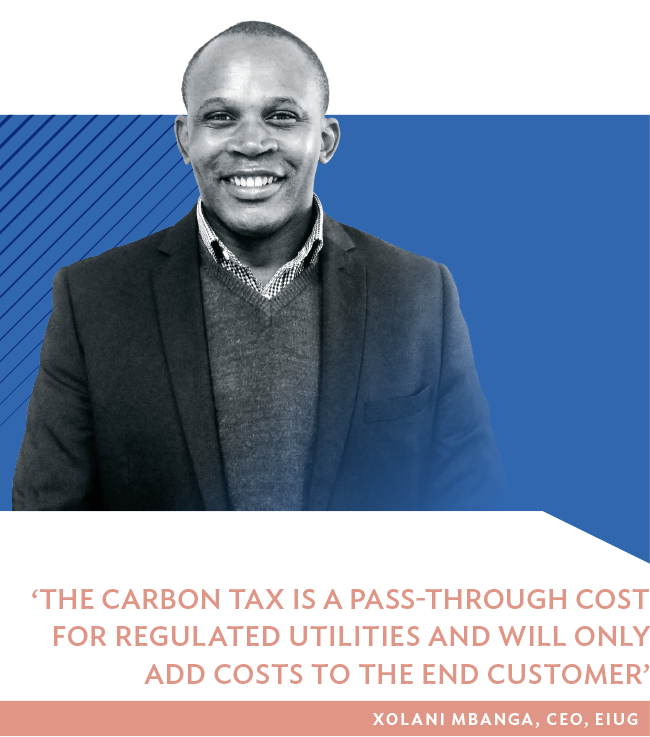 Mbanga adds that ‘the carbon tax is a pass-through cost for regulated utilities and will therefore only add costs to the end customer, which will already bear the cost of the new build programme via electricity tariffs’. Critics from civil society and environmental groups, however, have voiced strong disappointment around the proposed maximum tax rate of R120 per ton. Conservation group WWF South Africa, for example, claims the top 10 emitters may end up paying between 0.1% to 0.5% of turnover in carbon taxes. ‘This leaves us with the worst possible outcome – an extra cost on companies that they pass on to their customers without doing anything serious about their emissions, because it’s cheaper to pay the tax than to act,’ the group states. ‘The solution is to turn this token tax into something with teeth, with an accompanying strategy by business, labour and government that buffers the poor and creates the jobs and livelihoods that a lower-carbon economy can deliver,’ the group argues. Will the new tax be delayed beyond January? Both Mandy and Rapson maintain it’s not beyond the realm of possibility that it will be delayed for another year, considering the large number of comments submitted by industry and the need to pass allied legislation timeously.